Mortgages and loans are typically END mode calculations or end-of-period payments; Leases are typically BEGIN mode calculations or beginning-of-period payments. 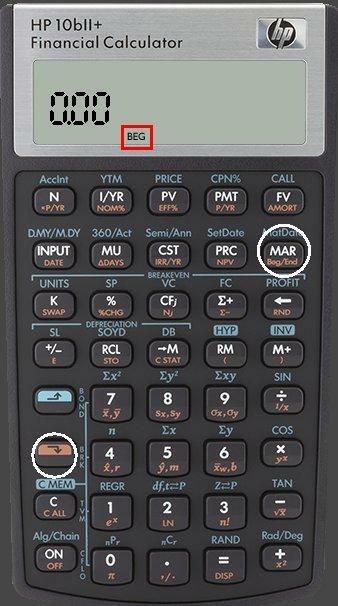 To set the appropriate payment mode on calculator: Press [Gold Shift] [Beg/End] to toggle On/Off Beg Mode. Tagged By: hp 10bII - Tutorial Ordinary Annuities.